Everyone I've been in contact with has been courteous and helpful. I appreciate the text messages and felt if I needed to contact the office, I could do so easily and get any assistance needed. The experience from booking to staying to leaving has been a breeze. Mahalo! --- MANAGER'S RESPONSE: Mahalo, Leahi!! We had a wonderful stay at Villas of Kamali'i. The condo was spacious and clean with a gorgeous view of the mountains and waterfalls. So welcoming and easy to quickly relax and settle in for our vacation. --- MANAGER'S RESPONSE: Mahalo, Leahi!! Guest review taken from Airbnb on 4/5/19 for Nihi Kai 806 --- Great place! Beach is just a little walk away and the pool and tennis court are right there. Great location. The place was a very nice setting and quite. Check-in and out was very easy. Fully equipped with a lot of amenities and the welcome items was such a nice touch. Highly recommend this place. Guest review taken from Airbnb on 4/7/19 for Kuhio Shores 201 --- This is a very comfortable, well-appointed unit with a nice ocean view. The bedroom is very near the road but we had no issues with noise keeping us up. The breezes through the unit are pleasant and kept the unit cool. The beach and Beach House Restaurant are right next door. I would definitely stay here again. Guest review taken from Airbnb on 4/7/19 for Kuhio Shores 201 --- You really can see turtles from the lanai! This is a great spot, and a great deal with the included rental car. We so appreciated the extra thoughtful touches to celebrate our anniversary. Check in to both the unit and the rental car were seamless and easy. The condo is a lovely spot to relax and enjoy Poipu. There is some traffic noise from the street during the day, but it dies down at night and is quite peaceful. Guest review taken from Airbnb on 4/3/19 for Poipu Palms 204 --- Just perfect. Sea turtles viewable from our patio every day. And we saw whales in the distance too. Bluest of blue oceanfront views. And the south side of the island is always the sunniest even when its raining everywhere else. I felt fortunate that Poipu Palms 204 was available! Guest review taken from Airbnb on 4/4/19 for Kiahuna 436 --- A great place that's ideally located: 5 min to awesome beaches, 5 min to great restaurants, 2 min to gym, central to everything. Host was always super responsive to our request. Would definitely stay again! You won't miss the A/C. The trade winds made it, dare I say, chilly at times! 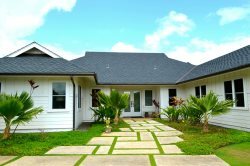 Gust review taken from Airbnb on 4/5/19 for Pili Mai 3B --- Beautiful stylish and modern home. It is a great place to stay in Poipu. A must stay at when visiting Kauai. 10 minute walk to Poipu shopping village. Quiet neighborhood and lots of beach chairs to use, 2 beach umbrellas and a cooler. Frisbees are there too. Will definitely stay here again ! Everything was good, except having to leave a message when we were locked out of our condo. Then I called the SECOND number listed, and someone answered. Whew!!! Beautiful property. A little overpriced, based on what we have paid in the past. I would prefer to NOT have the car bundled into the condo price. But, beautiful condo. Very helpful --- Mahalo, Beth! Excellent experience. Could have used an extra beach towel. Impressed with cleanliness and thoughtfulness of entire stay/experience --- Mahalo, Beth! Guest review taken from VRBO on 3/31/19 for Kuhio Shores 208 --- Getaway We had an amazing time. This was our first time on the island, and couldnt have asked for a better place to stay. We enjoyed beautiful but private views of the bay. The place was stocked with the essentials. It was perfect for a base camp between adventures or as a place for some needed R&R. We would definitely love to come back! Guest review taken from VRBO on 3/31/19 for Kuhio Shores 207 --- Great place to stay! We had a fantastic time at this vacation rental, they really thought of everything when planning your stay. They were great about text reminders and really we were able to do everything ourselves. The property is beautiful and the ocean views are incredible! Thanks! The property more than met our expectations for our family of 6 adults and 3 kids! Everyone loved the beautiful backyard and swimming pool, the spacious and comfortable house, and the great location. We had great beach mornings and poolside afternoons, and enjoyed group cooking in the spacious, well-appointed kitchen. We will recommend to friends! Mahalo!! --- Mahalo, Cass!! Gust review taken from VRBO on 3/28/19 for Poipu Sands 214 --- Family vacation This was our first visit to Hawaii. Its a short walk the shipwreck beach and a 5 minute drive to Poipu Beach. House was very clean with beautiful ocean views. It was very clean and lots of room for the family. Nice complex that is well maintained and quiet area. Rental car was a nice bonus and we would definitely stay here again. Everyone was very friendly and quickly responded to all our questions. Always super friendly and helpful. --- Mahalo, Briana! Wish there was some bleach for the towels to wash in. The towels smelled musty even after washing several times. The lanai furniture was nice. Wish there was a love seat or couch to lay down on and enjoy the space. The boogie board was broke. We had to buy our own. Could use a few dish rags in the kitchen. Very hard to wipe down counters and tables with sponge. Could use a pizza pan and pizza cutter. Very nice there was a spice rack! The garlic powder was gone though. Even though check in info said there would be a car in the garage, there was no car. Could use a clothes drying rack. --- Mahalo, Briana! We will share your message to our housekeeping manager. As for the car in the garage, we see that the check-in instructions described that there was room for a small to midsize car, not that there would be a car provided there for guests. Guest review taken from VRBO on 3/26/19 for Kiahuna Plantation 198 --- Great location, very accommodating We had a wonderful stay at Kiahuna. Amy was very helpful to answer question promptly before we booked. I felt at ease because we had all the information we needed during our trip also regarding ammenities. Having the car added in helped take another thing off our list to get ready. We would love to come back to Kiahuna again. Mahalo!